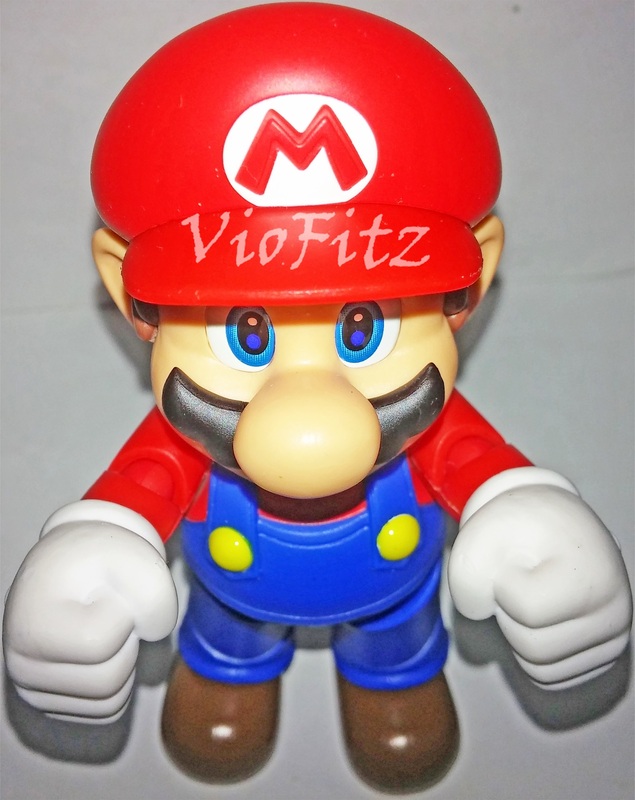 Okey dokey, another S.H.Figuarts review!!!! 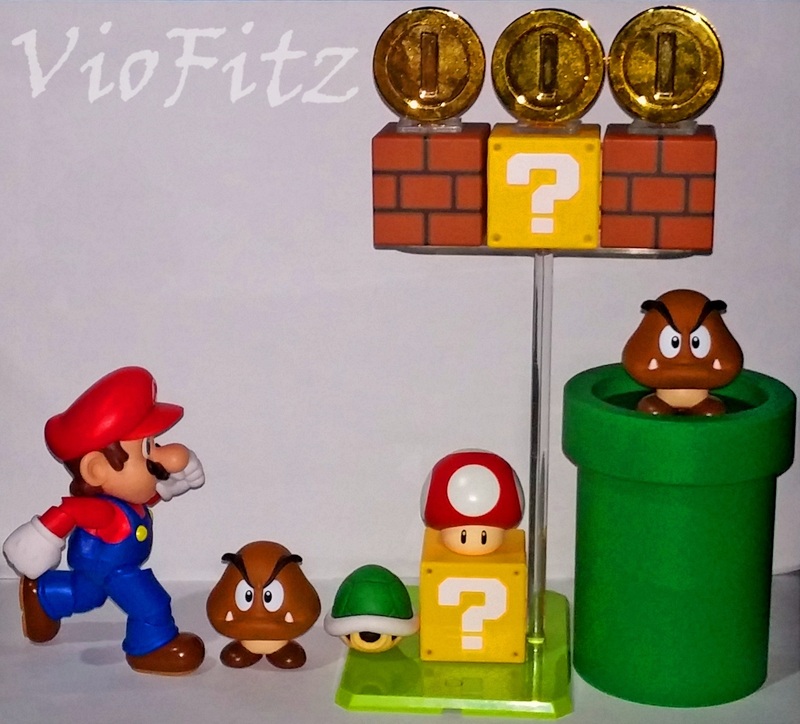 The review is all about video game character, Mario & the Playsets A & B from Super Mario!! 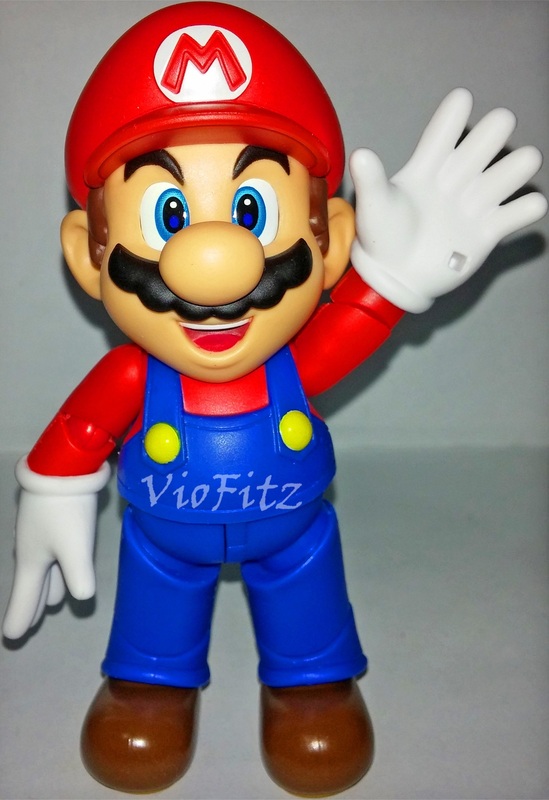 Mario is a fictional character in the Mario video game franchise, created by Nintendo’s Japanese video game designer, Shigeru Miyamoto. 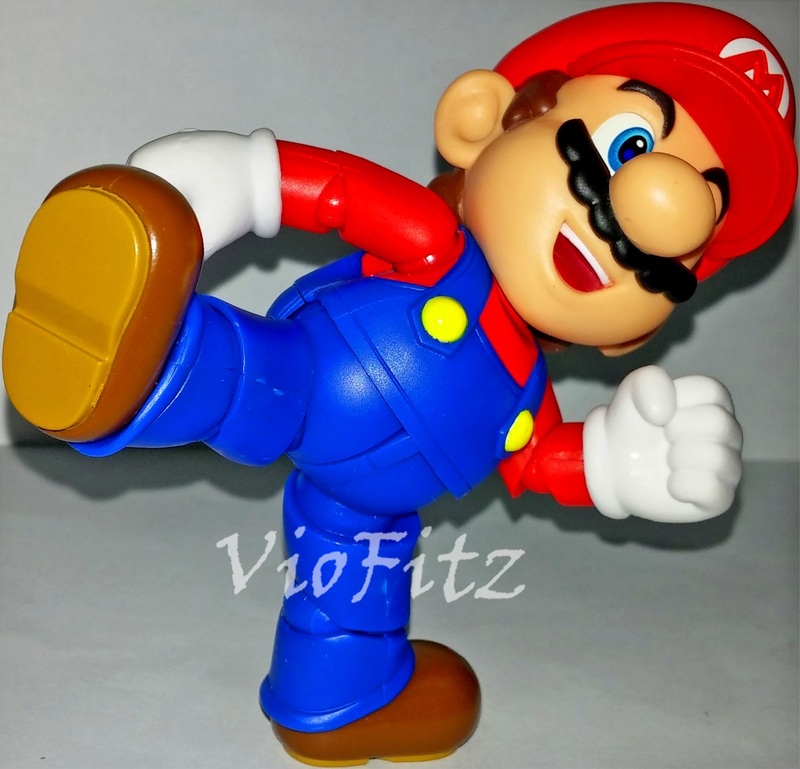 Super Mario video game series is a series of platform video games created by Nintendo. 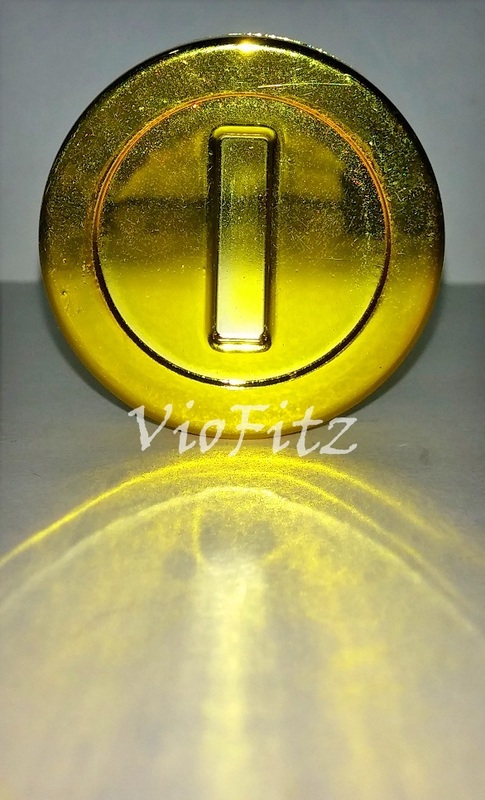 Alternatively called the Super Mario Bros. series or simply the Mario series. 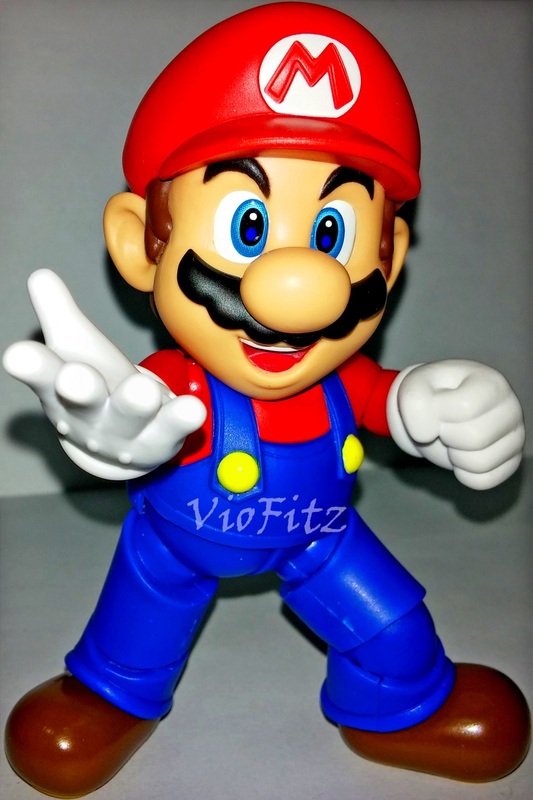 Okay, to the review Mario and the Playsets are sold separately &, Mario was included with very few accessories so if you want to recreate Mario scenes more complex you’ll have to buy the whole Playsets. 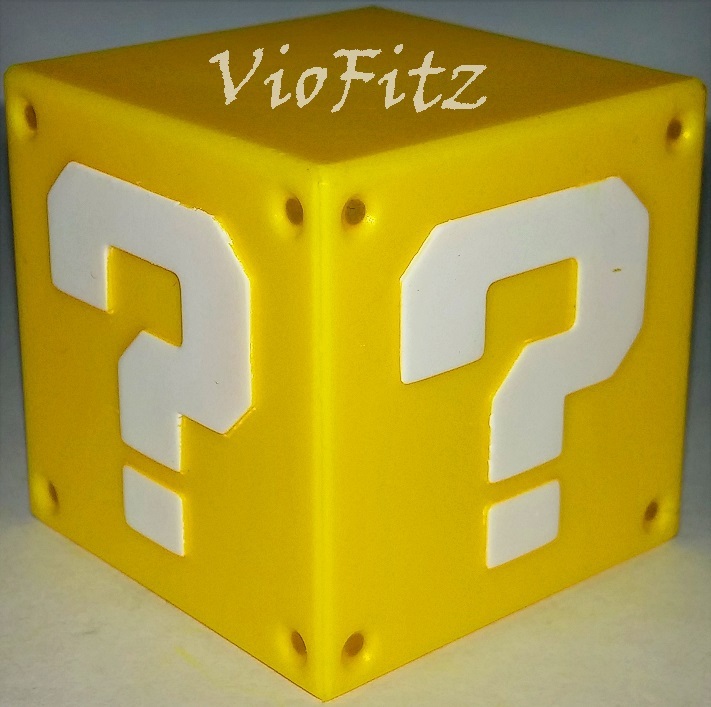 Each of their boxes got a the same layout designs colored Yellow & with yellow inner tray paper for the window view. However, Playset B’s box was larger than the rests which simillar to my SHF bikes because, Playset B contains 2 large accessories. 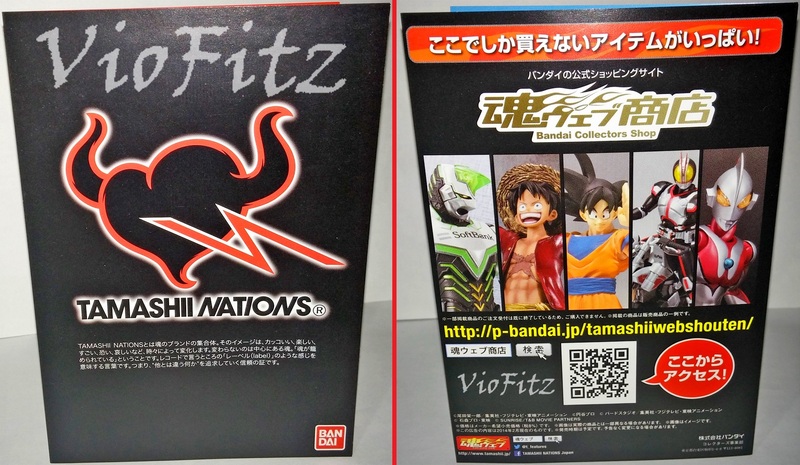 They’re all standard release by Bandai Tamashii Nations, so… Let’s take a look of the contents then! 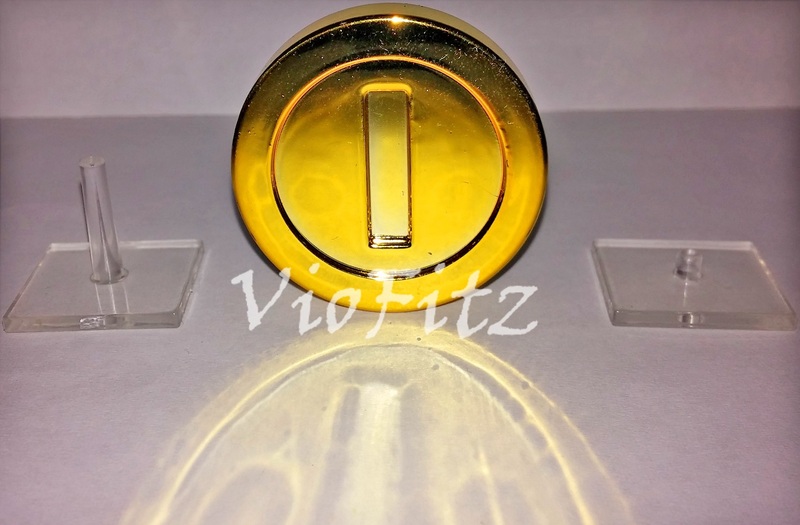 From Mario he comes up with 1 “?” Block, 1 Coin with the stand, & Mushroom. 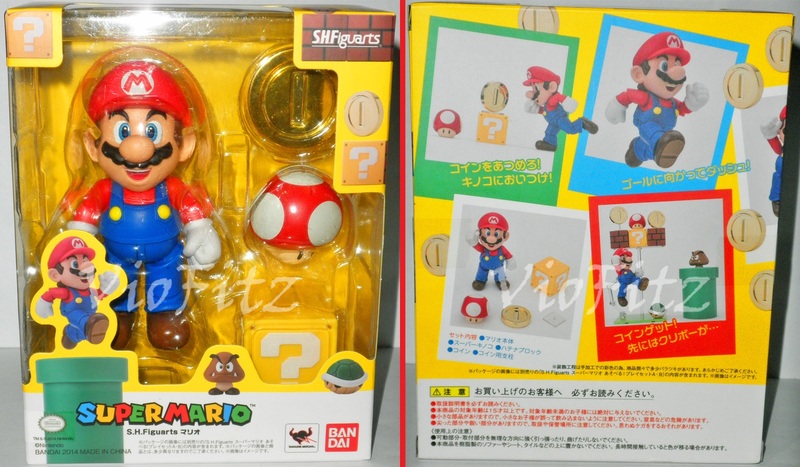 Well, if you only buying Mario, you’d regret this alot for sure since how limited of his accessories… Also, inside Mario’s box there’s a booklet of Bandai Tamashii Nations & Tamashii Webshouten’s figure ads & all written in Japanese. It’ll be half cool if we don’t have more accessories to recreate more scenes, right? 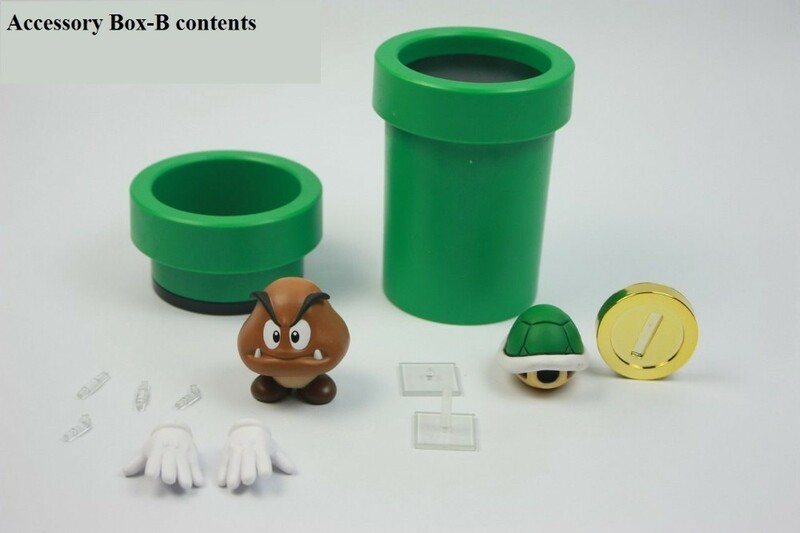 Playset B comes with Pipes, 2 option hand, Green Turtle Shell with the peg joints connector, 1 coin with 2 display stand, & lastly 1 Goomba figure. 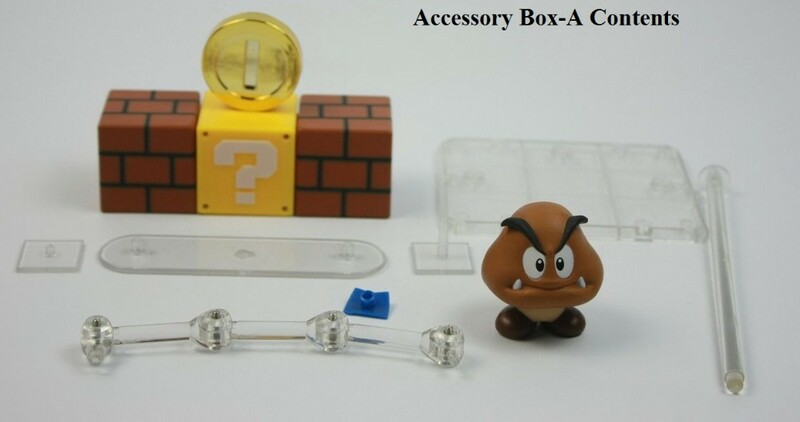 Cool, atleast we got 2 Goombas if we buy all of them! 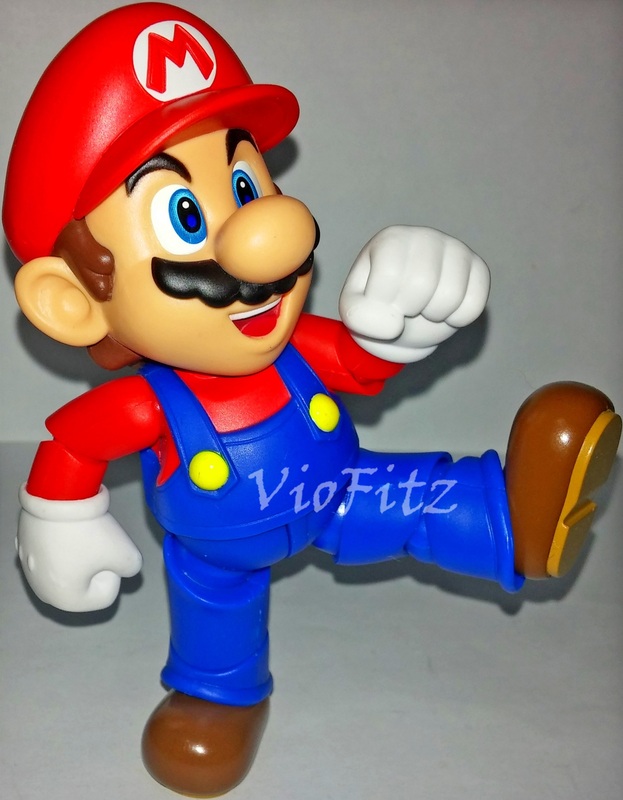 Serving as the company’s mascot and the eponymous protagonist of the series, Mario was depicted as a short, pudgy, Italian plumber wearing blue jumpsuit with yellow buttons, red shirt, red hat, white gloves, & dark brown colored shoes. 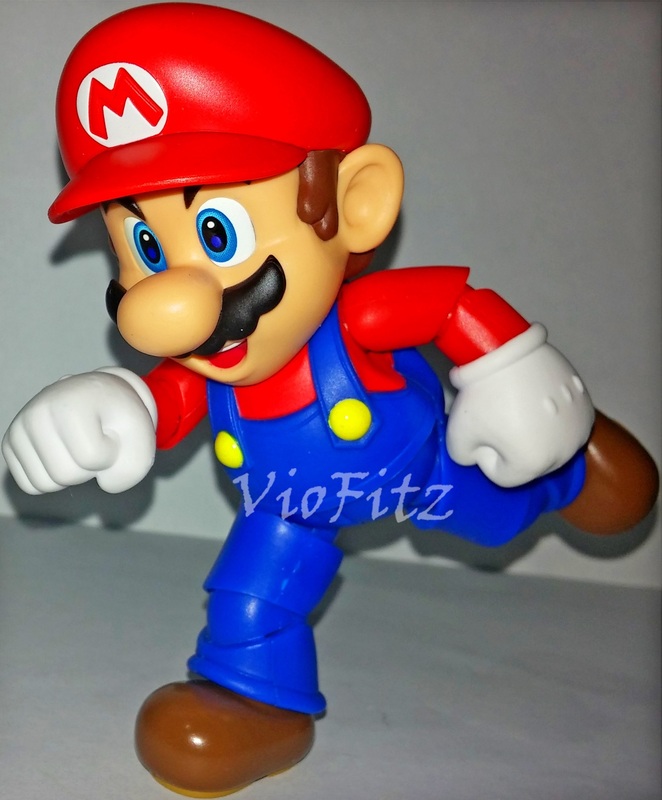 In my opinion this is one of the best Mario figure ever made so far although he had very limited articulations which rather lame for S.H.Figuarts creations but, atleast he’s still poseable enough! 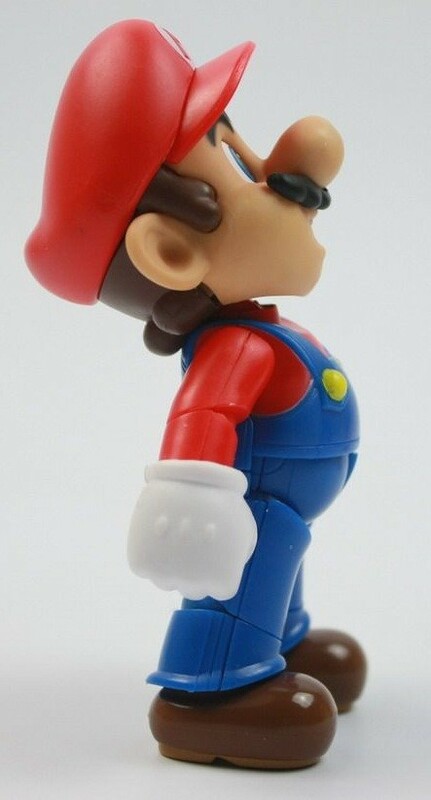 Mario’s overall figure was actually a plastic made but, he’s unexpectedly heavier than he looks eventhough he’s not that big. He’s even heavier than SHF Riders, Sentai, & Animes. 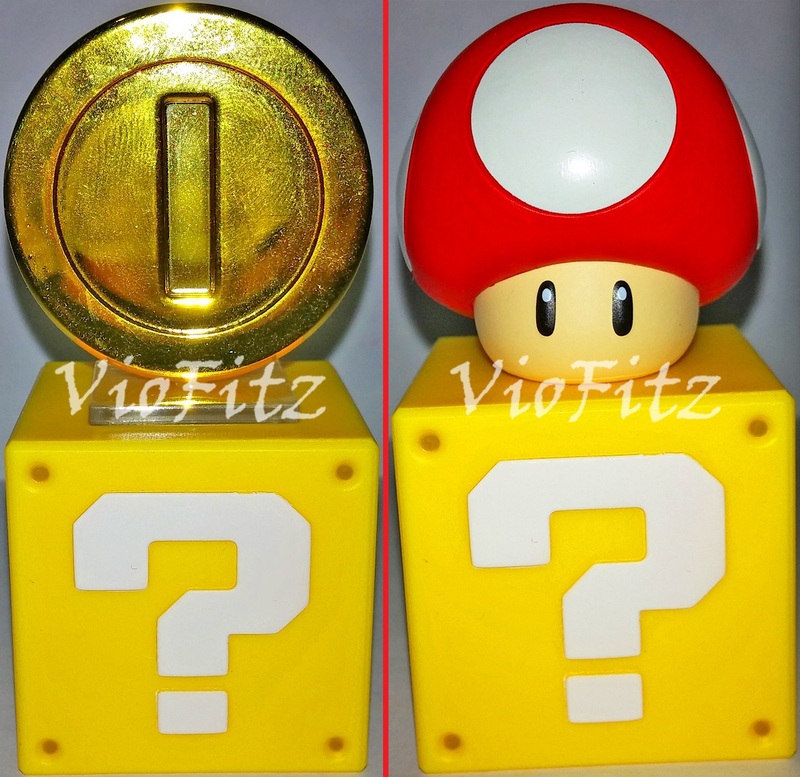 Mario is given with Mushroom, “?” block, & 1 coin. Mushroom? 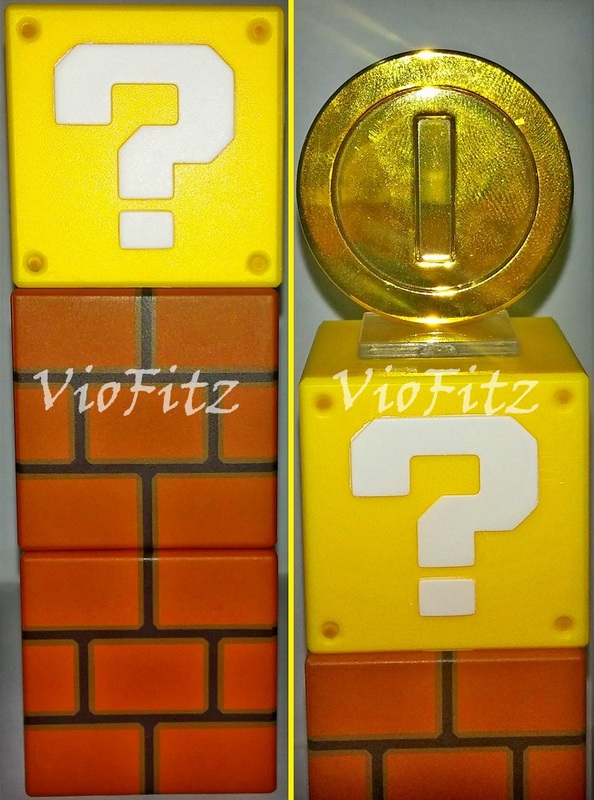 You know you can only make it stand just like that with or without block, the details are good enough, same goes to “?” block, the block got a nice details from the hole & the “?” sculpt & it has a hole joints for attaching on the playset A’s joint connector, & lastly shiny golden colored coin is pretty nice although the shine leaves my finger prints traces. 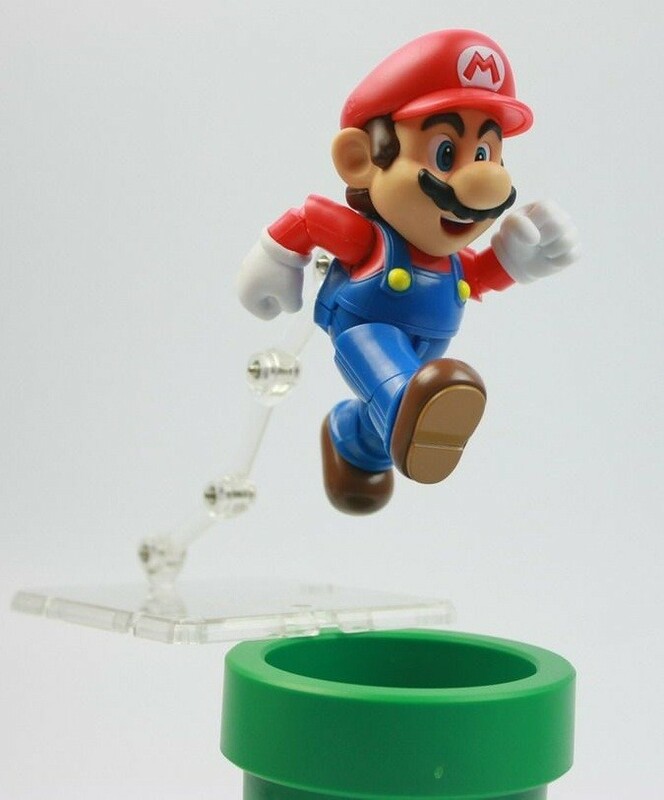 In my opinion this only works when you have the playsets not directly for interchanging the figure itself so, this is kinda unnecessary eventhough the accessories got a nice details. 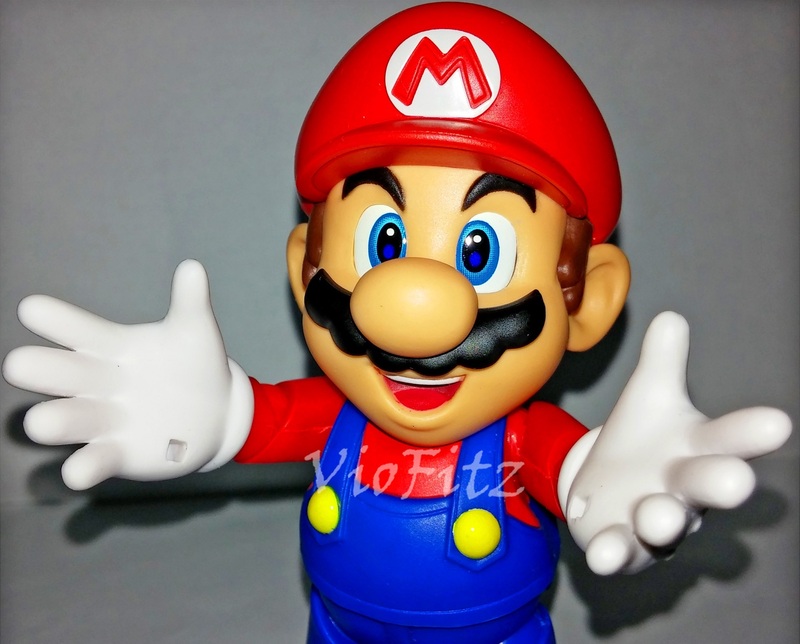 Bandai should have given Mario with interchangeable hands, & alternate face part, once again… I understand the rude thoughts of the reviewers. Okay, on the playset now! 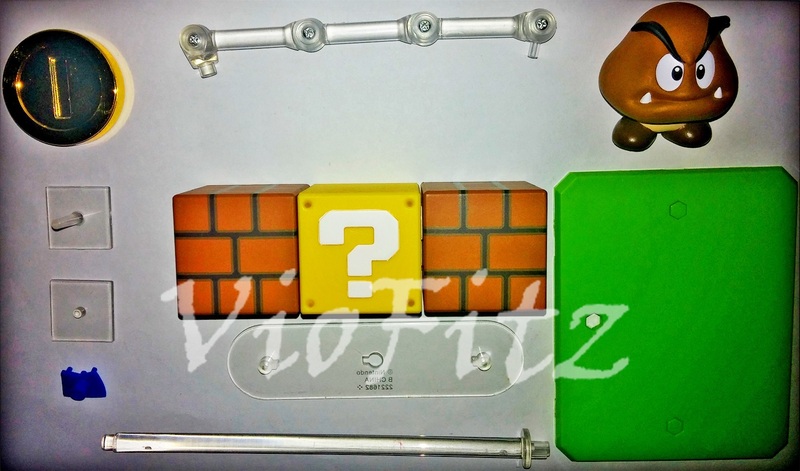 Playset A got more approppriate accessories to recreate the diorama scenes of Mario. 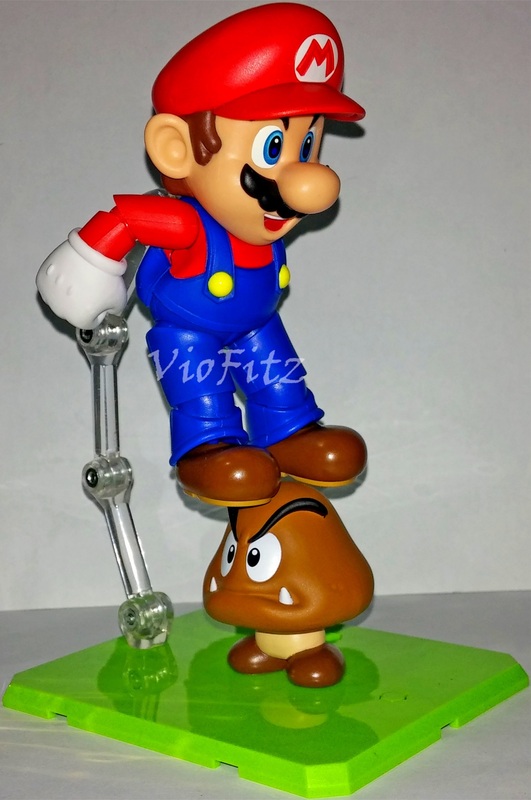 1st up is unarticulated Goomba figure, Goomba figure also beautifully well made & looks very accurate to his game counterpart. 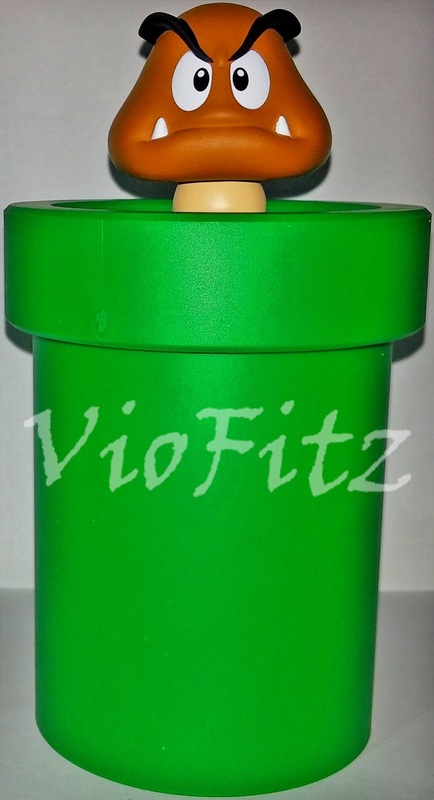 Goomba, known in Japan as Kuribo, are a species of sentient mushrooms from Nintendo’s Mario franchise. 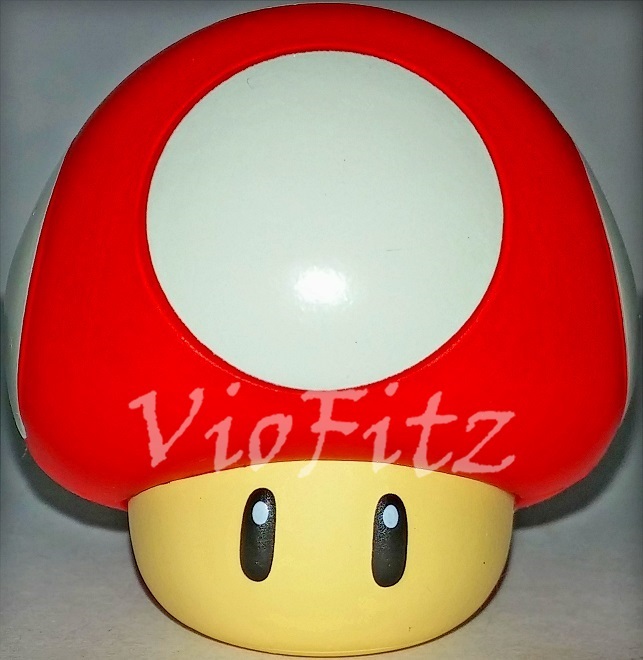 They first appeared in the NES video game Super Mario Bros. as the first enemy players encounter. 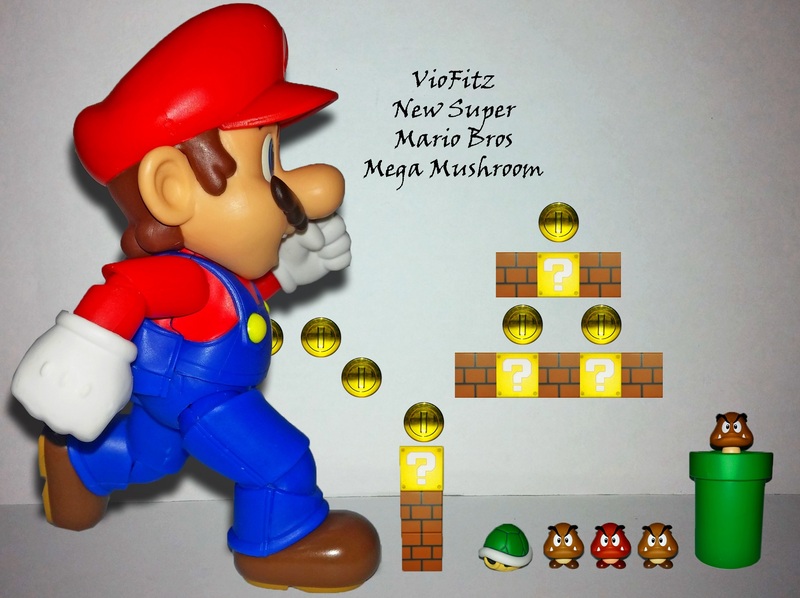 3 blocks are also included, 2 of them are just mere bricks & 1 is the exact same “?” block like in Mario one. 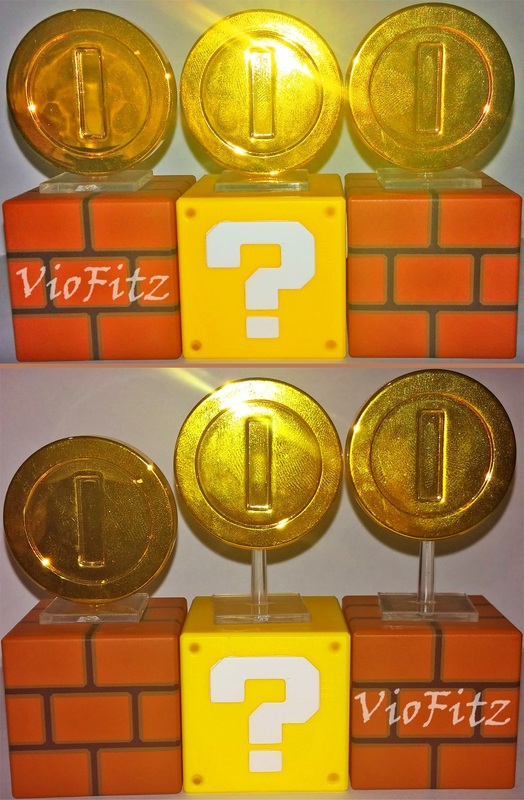 The bricks one was actually just a painted a bricks motives but, it’s more than enough, though… Also, they included another exact coin that Mario one had but, it’s included with 2 display stand, 1 to recreate higher bouncing coin after Mario hit the “?” block. 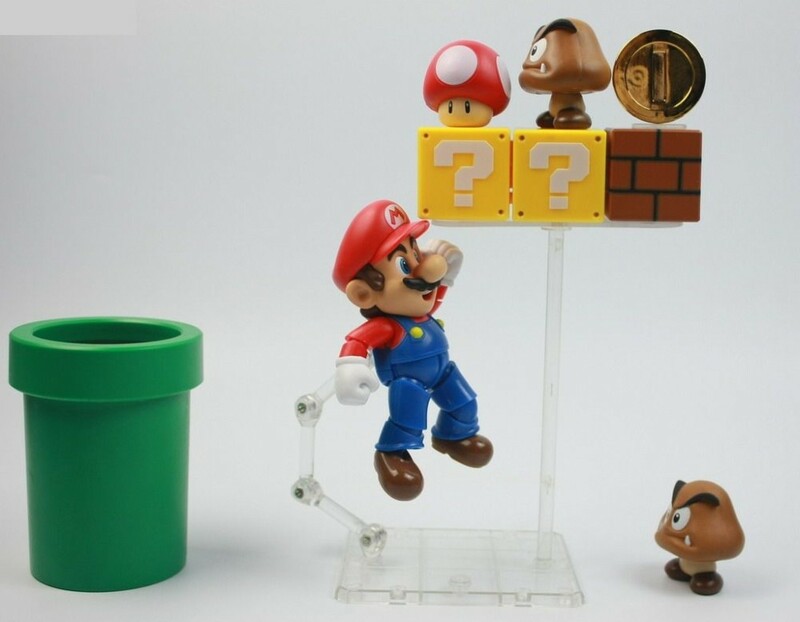 The pole stand was strong enough to hold Mario standing on the blocks. 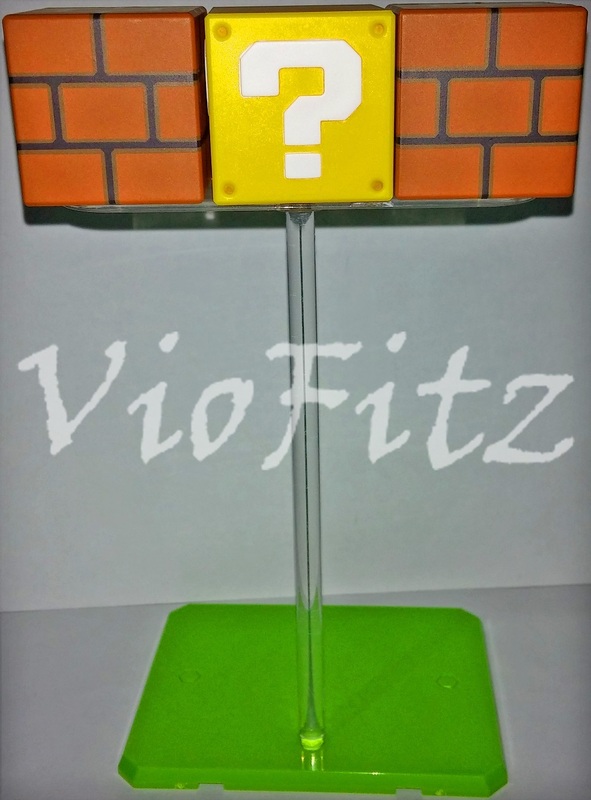 Stage Act display is also included in Playset A, containing green colored stand floor, stand display connector for the blocks, 2 alternate Mario’s back with hole joints, 4 jointed stand, & single pole stand for recreating floating blocks. 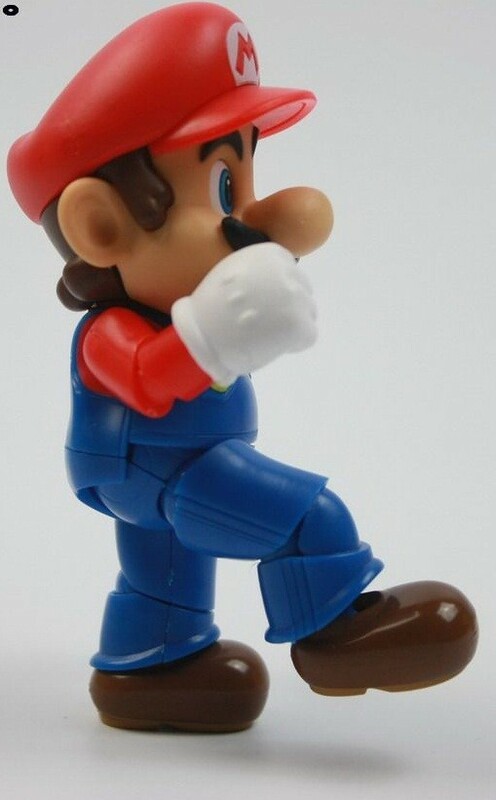 Well, all you gotta do is just to assemble the Stage Act, & replacing default back part on Mario. We eventually on Playset B! Okay, on the playset now! 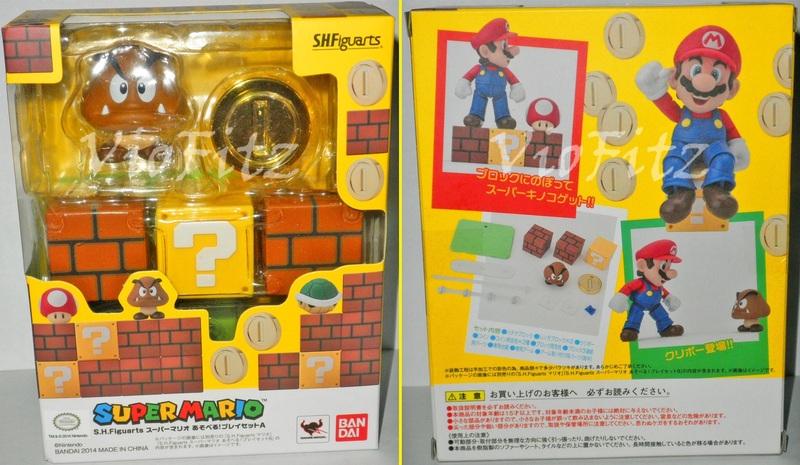 Playset B also included with unarticulated Goomba figure like in Playset A. 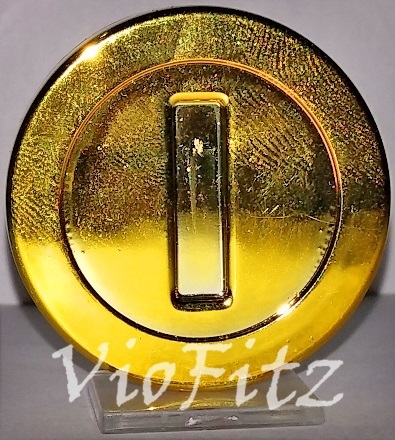 Another the same exact coin from Mario & Playset A… Oh well, let’s skip this out then. 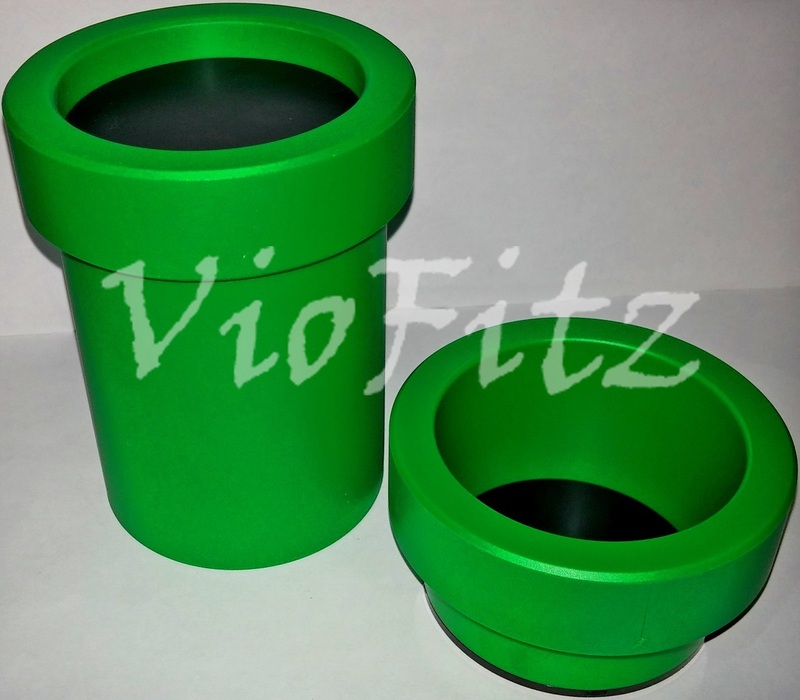 Lastly, a green colored pipe part included 2 variant pipe hole short & deep one. 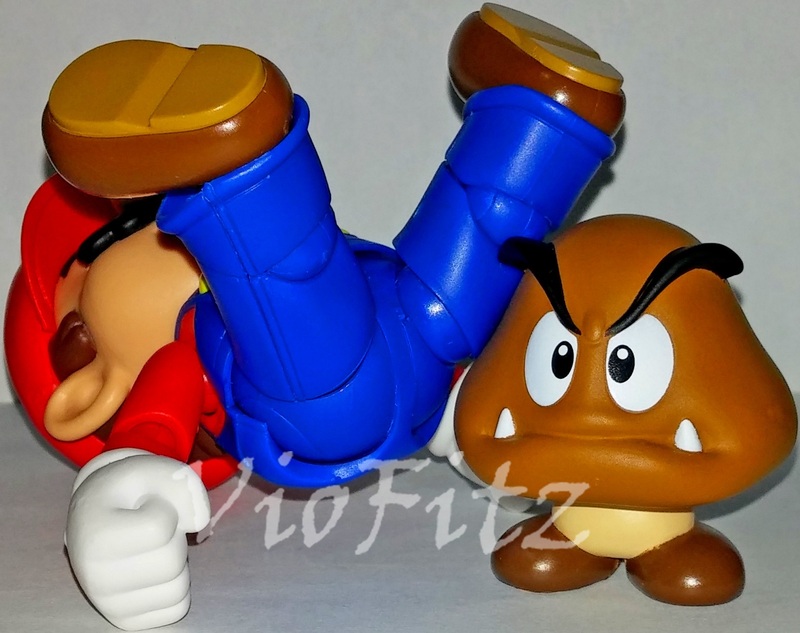 Yes, like the picture shown, the short one for Goomba while the deep one for Mario. Recreating one of the scenes where they enter or comes out from the pipe, all you gotta do is to replace the pipe hole & you’re done. 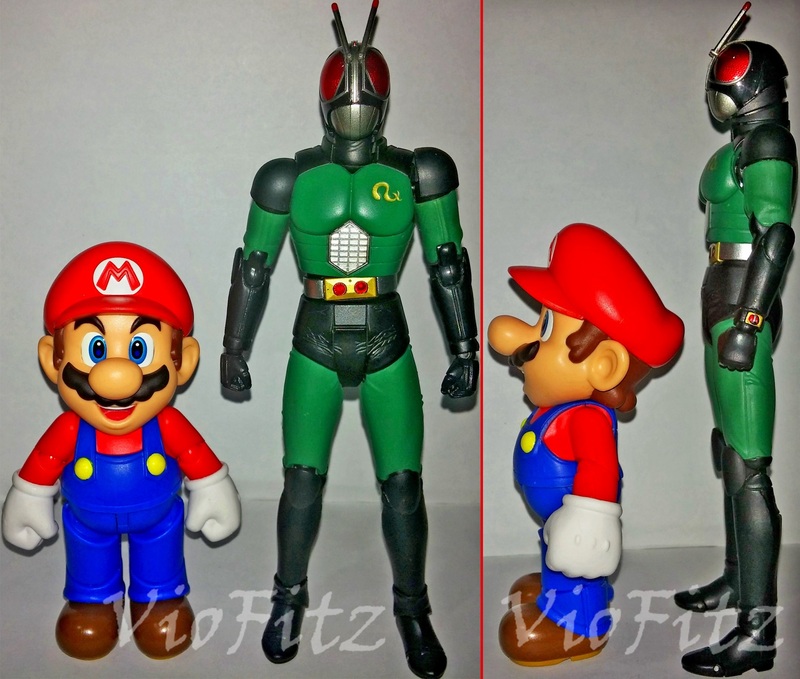 From height Mario is indeed far shorter than SHF BLACK RX Renewal Ver. 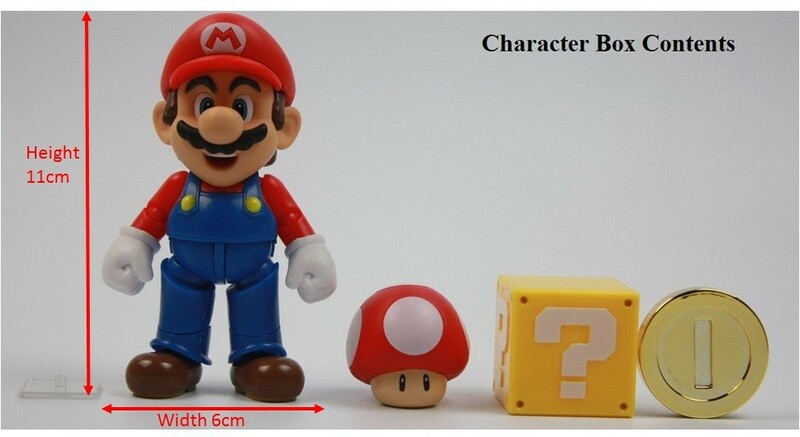 Well, Mario is a shorty of course, unlike his upcoming twin brother Luigi. Yeah, with this your curiousity was finally solved on how tall he is between regular S.H.Figuarts figures. 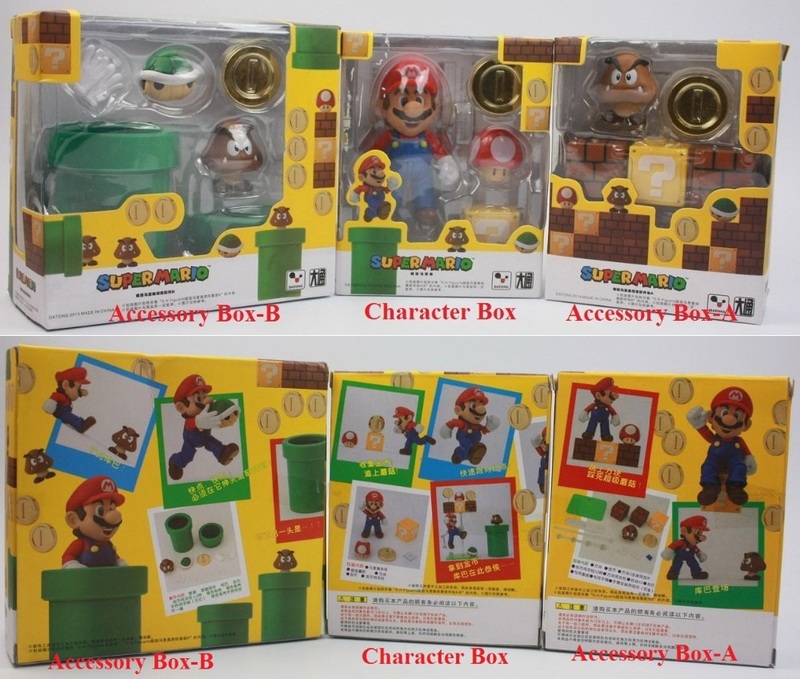 Boxes has no Nintendo sticker or even Bandai & Tamashii Nations logo printed on it. Instead they’re given with Chinese or Datong logo regarding the products. Other than that I think they looked identical. 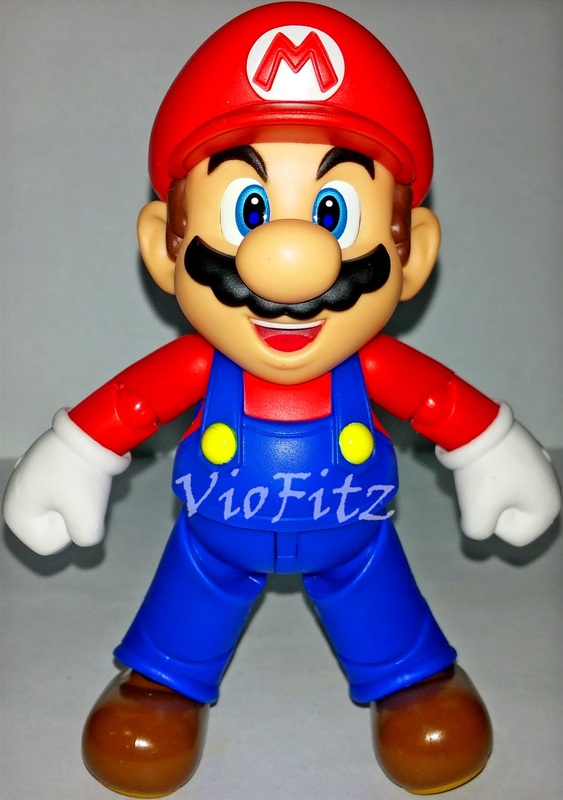 Mario got slightly larger eyebrows compare to the legit ones. 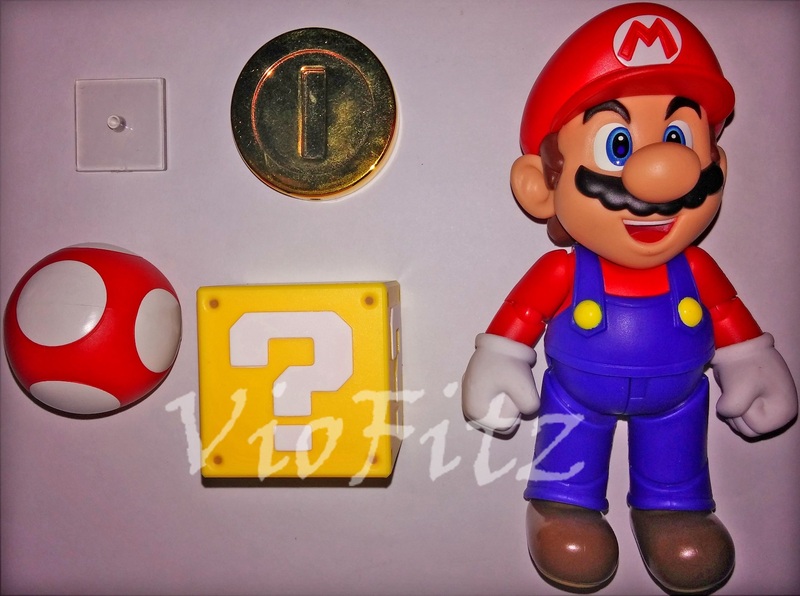 Datong Mario’s materials all looks shiny & feels really cheap. 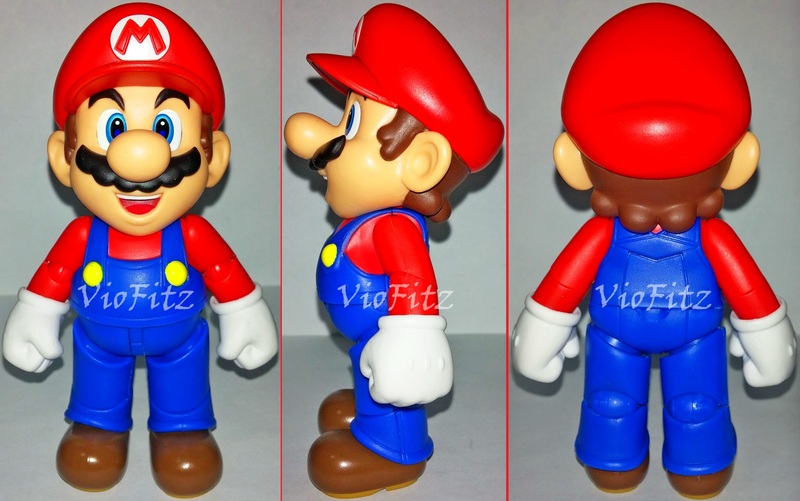 Datong Mario got more complex neck articulation compare the original ones, since I couldn’t able to move my legit Mario’s head like that. Mushroom’s paintjob looks kinda messy compare to the original. 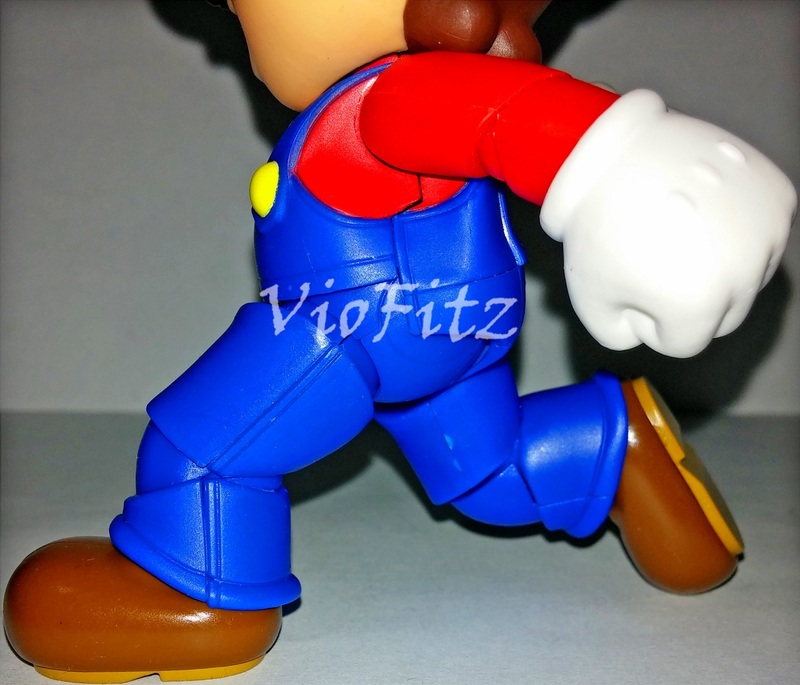 Lining sculpt on his jumpsuit looks different as the Datong one got more lines on the legs. 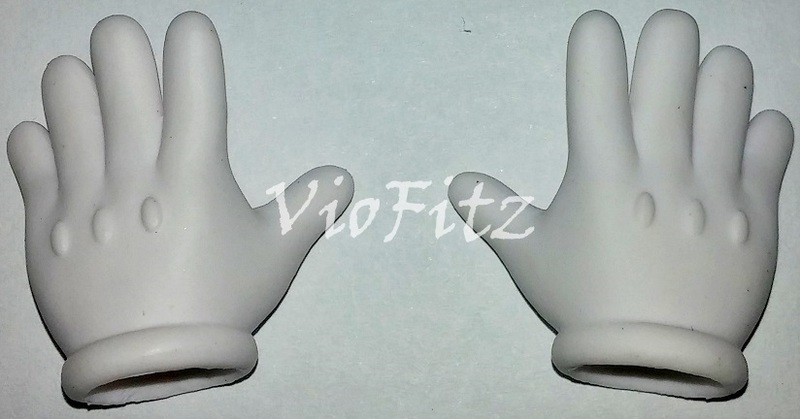 I hate to admit but, they surprisingly looks identical enough like the legit ones but, with slight differences. However, I might be very wrong since, I spot by looking the pictures not, directly touching the figures. Wow! 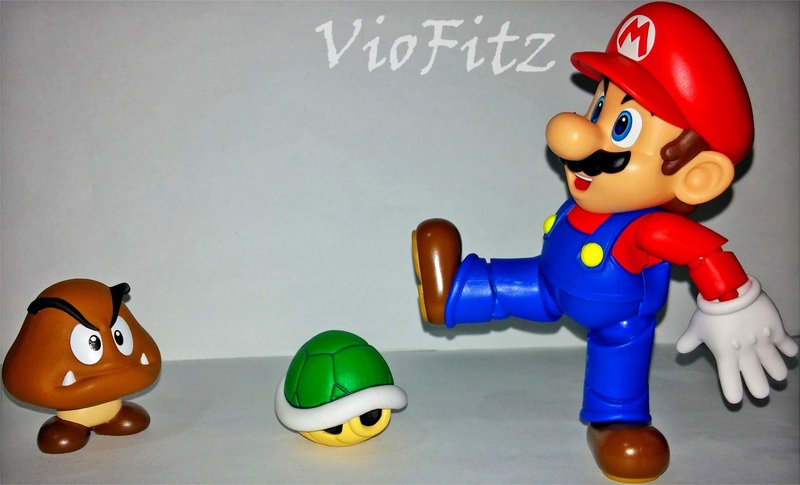 Childhood games was finally recreated into a action figures!! 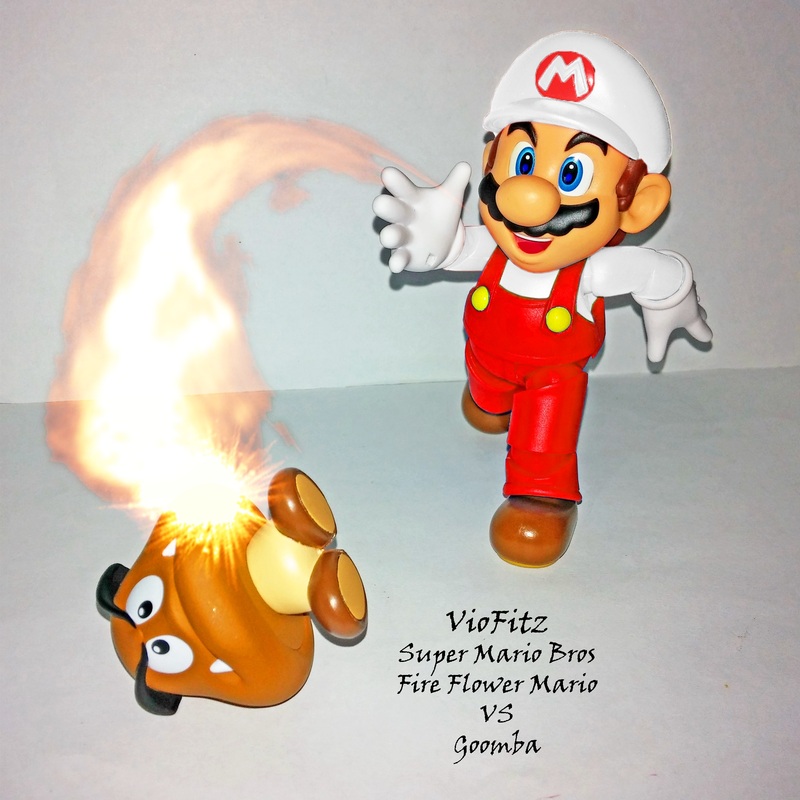 Fire Flower Mario in action! Well, he might be rather dissappointing but, for some weird reasons I didn’t mind about how he came up to be as I’m not really dissappointed like other reviewers who gave him harsh thoughts. 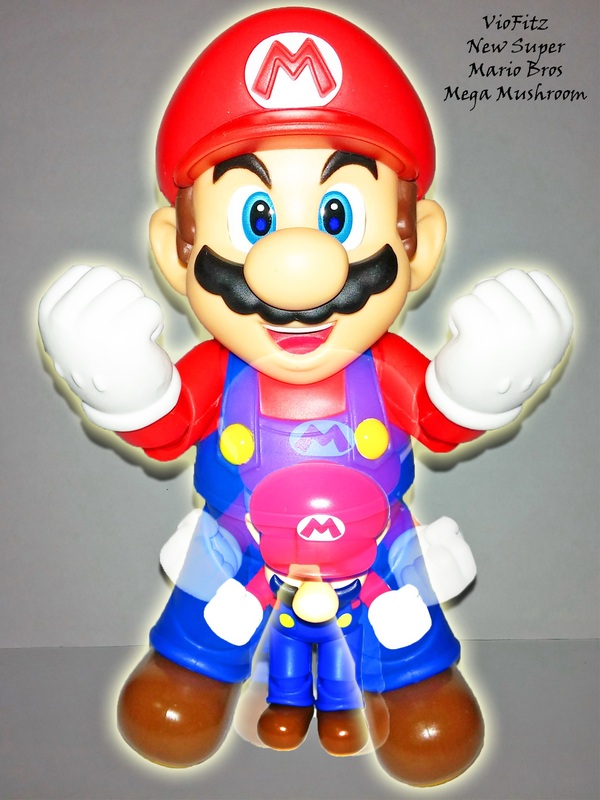 He’s still a fun additions to collects anyway :P. To say recommended or not, If you love Mario then you’ll love this one because he looks exactly like in the game but, more like the 3D game of Mario I think… However, you might end up dissappointed too on him & if you want Mario with lots of accessories you’ll have to buy his Playsets diorama which sold separately. 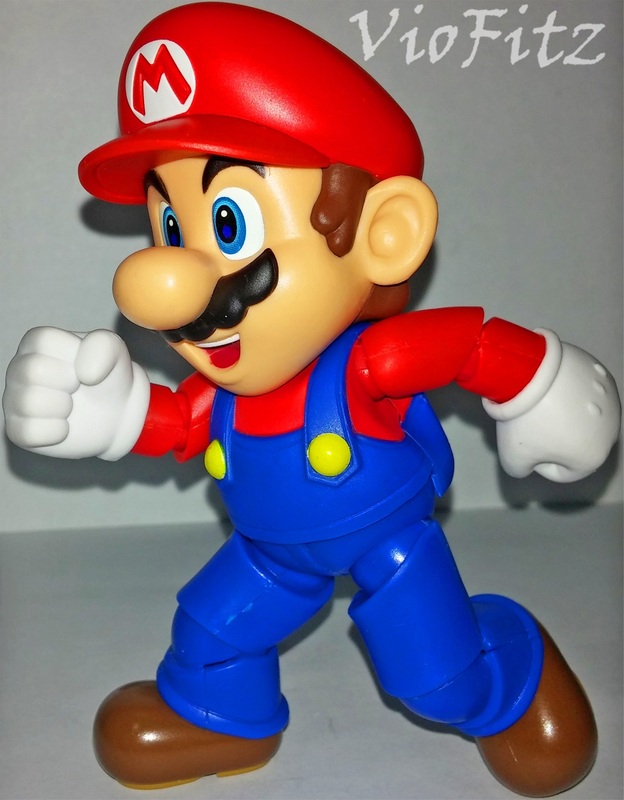 If you care more of articulations, then this Mario isn’t my thing to recommend because I have to admit his very limited articulations are quite lame, especially for a S.H.Figuarts release. 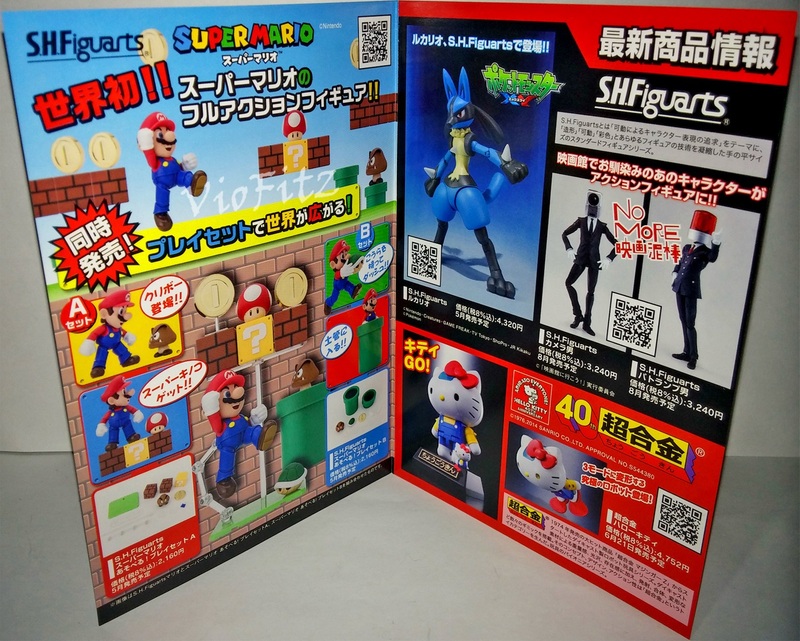 Well, after Mario’s release Luigi & the Playset C will be coming soon but, I’m not getting them since I’m currently preordering my Kamen Rider BLACK series of S.H.Figuarts. 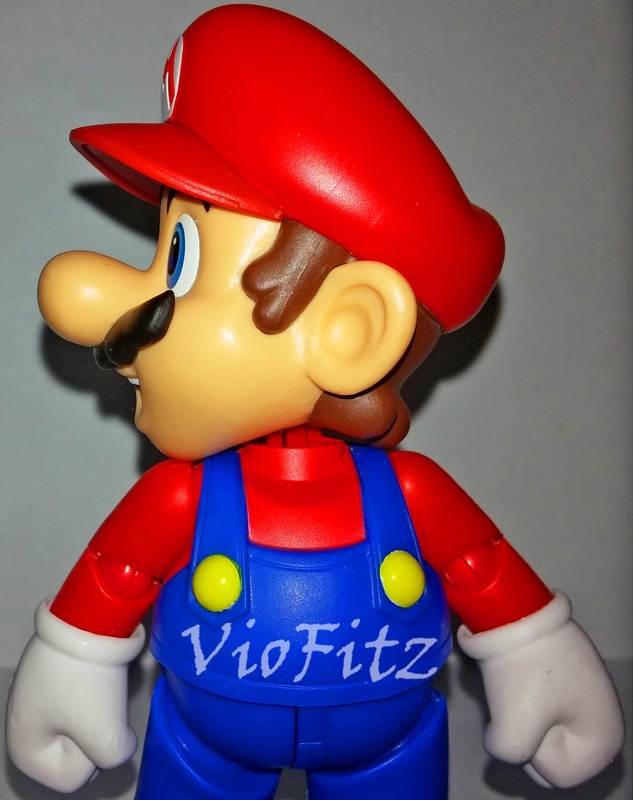 Very nicely done sculpt work & accurate like how in the games. 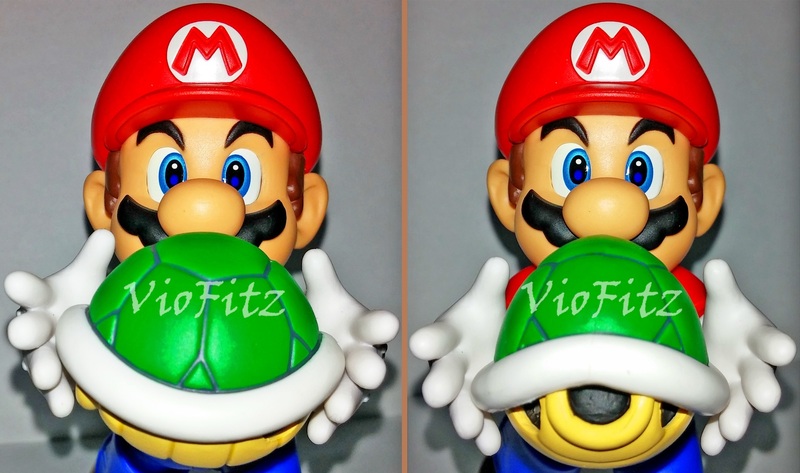 Faithful accessories were given to recreate video game scenes more realistic, although they were sold separately. 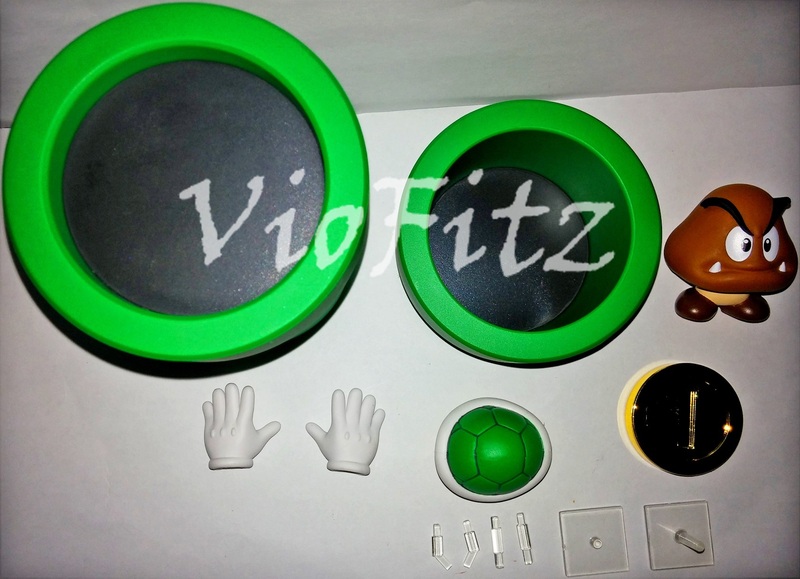 Full of fun for photoshoots & displaying the figure. 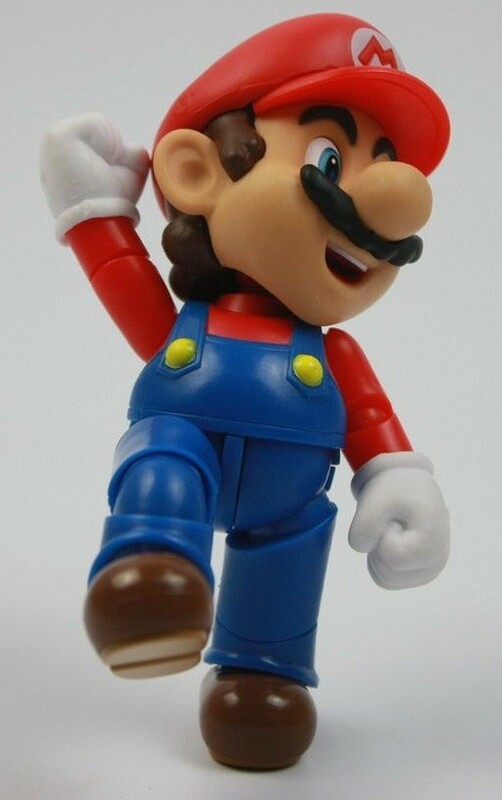 By far the best Mario figure ever made. 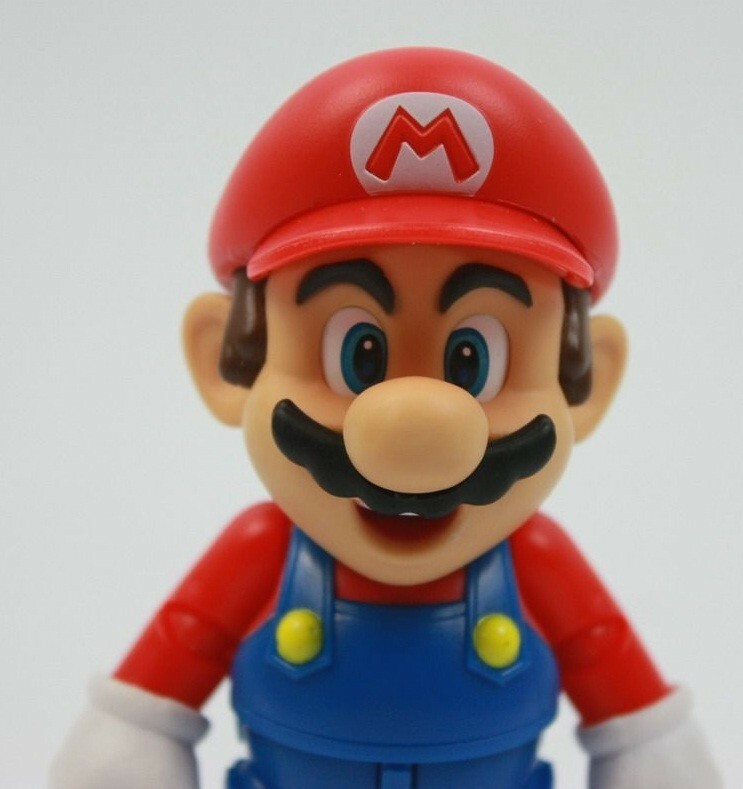 Mario lacks some face part expressions. 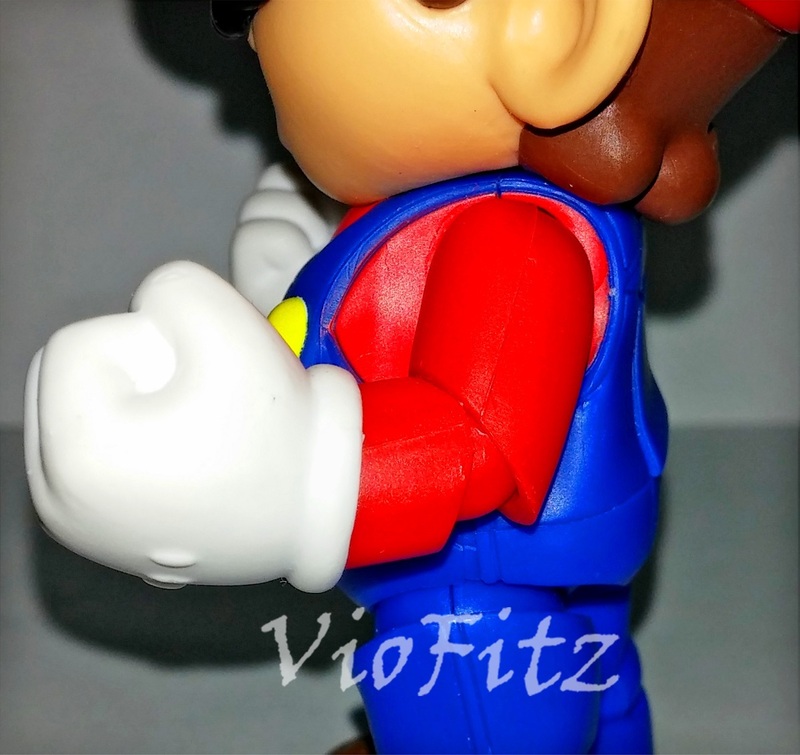 Accessories maybe given alot for Mario but, the only thing that is replaceable on Mario himself is only his option hand parts from Playset B. 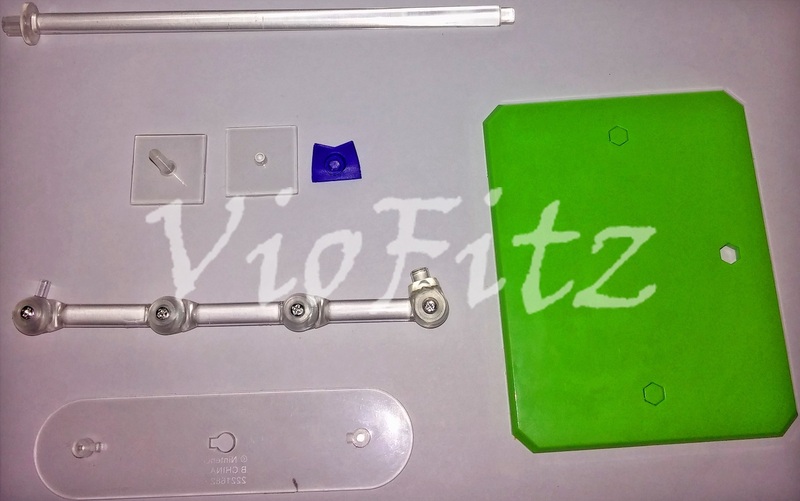 The rest are specifically made for diorama only. 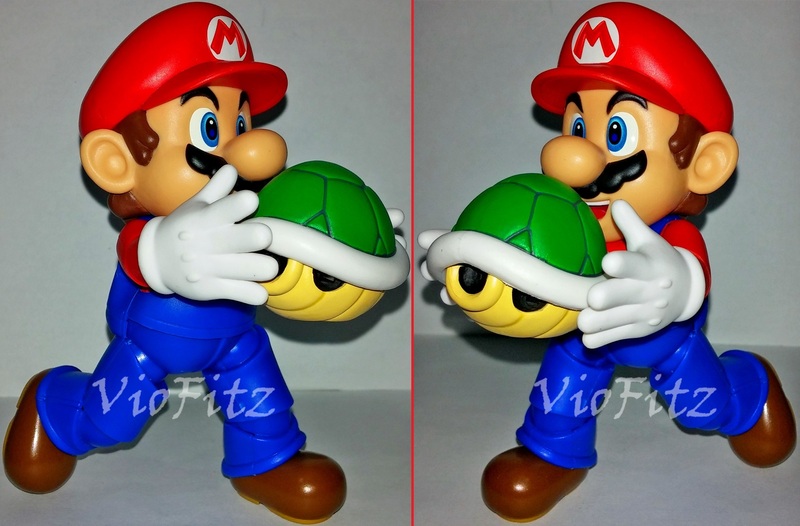 Rather than having Mario given with mushroom, coin, & “?” block, they could have added more interchangeable accessories for Mario figures like more hands such as peace hand, holding hands for grabbing mushroom, & alternate head without hat.